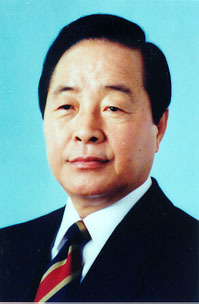 An opponent of strongman Park Chung Hee, his summary expulsion from the Korean legislature brought riots into the streets and Park's assassination less than one month later. Unfortunately the first free election, 1987, two opposition leaders ran simultaneously and neither was elected. Instead Roh Tae Woo became President. Kim merged his party with Roh's, and was elected his successor. His legacy is mixed: while on the one hand Kim's administration spearheaded the prosecution for treason and corruption of two former South Korean presidents (earning convictions for both), the performance of his own administration was less than stellar. The economy fared poorly, problems with KIA Motors precipitated the Asian economic crisis, and allegations of bribery and corruption haunted him.